It's been on my patterns-to-be-written-list for a year now, so I think its right name could be "forget-me-not"! This is the central round. It's a round with 8 little daisy, each one it is 4 rings and 2 SR. All beads - if you like adding them - are loaded in the second shuttle. Start with a ring R:3-3-3-3. I put there a loop for the magic trick (for hiding one end). Then another 2 rings, all rings here are 3-3-3-3. 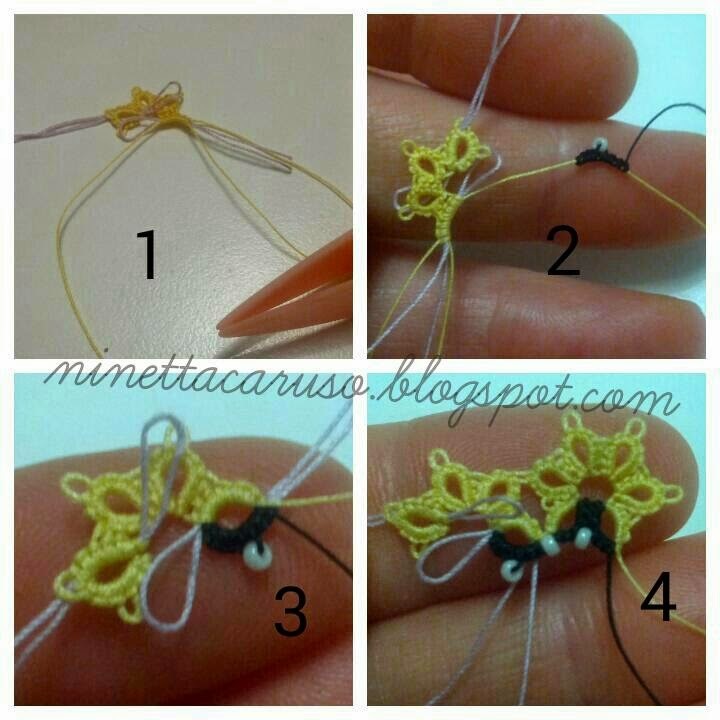 Then start a split ring but tat only the first part: 3ds, picot, 3ds. I put there another magic loop for the end. Add another colour. This is optional 'cause obviously you could choose to work CTM instead, all in one colour. But I like the effect that a contrasting hue gives to the center. 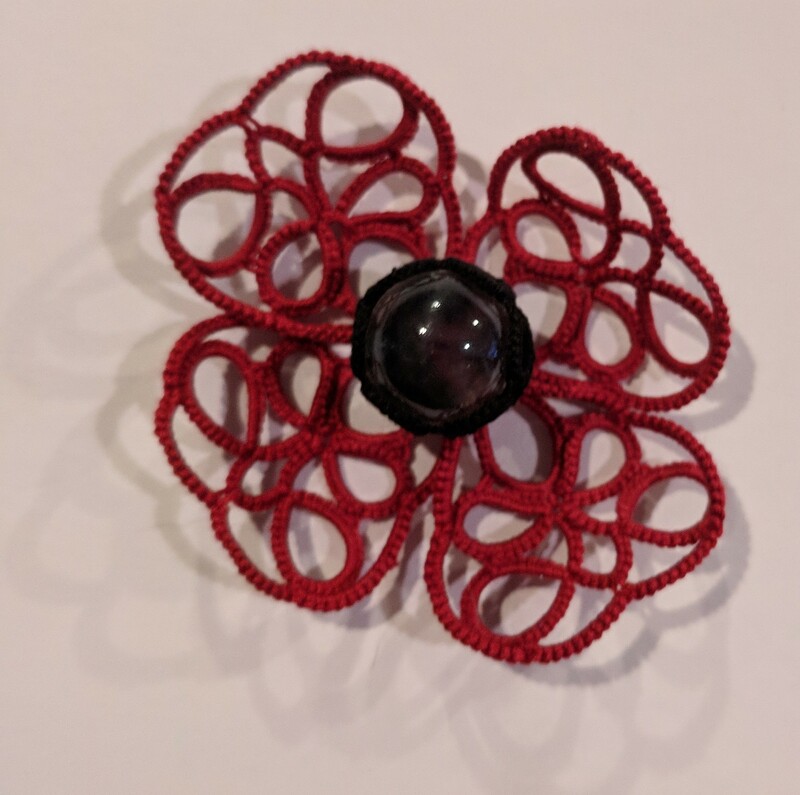 I added a second thread, hiding the end inside, so tat in reverse 3ds, picot (or bead in picot), 3ds. Beads are optional, too. I put a bead before starting the SR and another bead in the picot. R: 3+(previous ring) 3-3-3. Repeat another two times. SR: 3+(previous ring)3 / 3+(previous SR) 3. This daisy motif has to be repeated 8 times for the center and 6 times for little motifs around petals. In a next post I'll show you how I close the round of daisy.